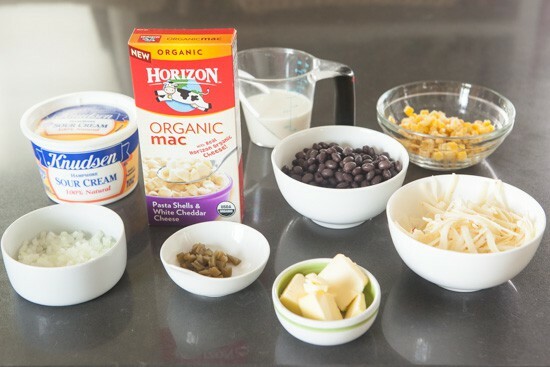 It’s been at least a few years since I’ve stocked boxes of macaroni and cheese in the pantry, but we visited Grocery Outlet for the first time recently and Phil insisted on grabbing a couple boxes of Horizon organic mac. This stuff was apparently one of his kitchen staples before he went and married a food blogger and there’s something about Grocery Outlet that makes you put lots of random things in your cart, whether you need them or not. I had never tasted this organic mac and cheese since I’ve always been pretty loyal to the bright orange Kraft version on the occasions that I’m craving food from a box. But last night, home alone and hungry, curiosity got the better of me and I started to wonder how this brand compared to my childhood favorite. But as soon as I made the decision to try it, I started thinking about how I could change it, because I just can’t help doing that. I had about a cup of cooked black beans in the fridge that really needed to be eaten and I decided that instead of eating them on the side, I’d just stir them into the mac and cheese. And once I decided that, the corn and shredded pepper jack cheese just seemed like a natural fit. And then I remembered I had a few pickled jalapeños left over from a can I opened last week so I added one of those as well. And onions and sour cream? Well, why not. So, I combined all those things, increased the milk and butter a bit so it wouldn’t dry out when I baked the whole thing with cheese on top, which of course had to happen. At this point, I was thinking to myself why on earth didn’t you just make macaroni and cheese from scratch? But the end result was pretty good, even if I still have no idea how the Horizon organic mac and cheese compares to the Kraft version. I’ll have to ask Phil to make the other box for me one night since I obviously can’t be trusted to follow the directions. Preheat oven to 375 degrees. Grease a square casserole dish (8x8 or 9x9) with nonstick spray. 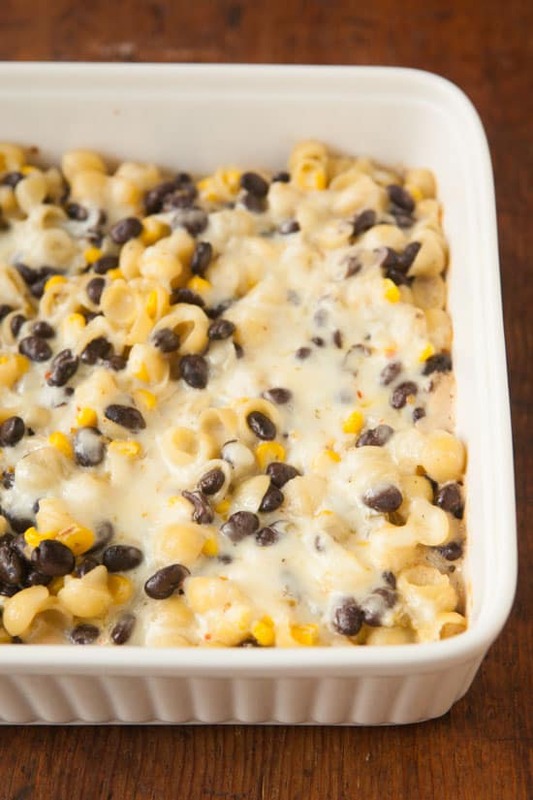 totally a southwest mac and cheese. totally delicious. This looks so amazing! I love mac & cheese and can't wait to try this! I'm adding the ingredients to my grocery list for my next shopping trip! Now that's what I call tasty and satisfying food! Nutritious as hell. This looks delicious! Something that I would make! I own a British brand super market online and looking for new things to add! The picture..wow. just looks delicious. 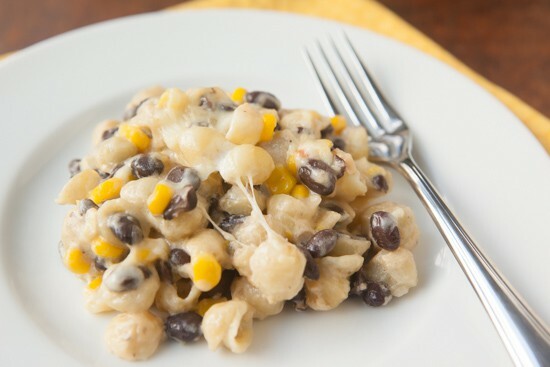 Will try preparing a Southwest Macaroni and Cheese this weekend. Thank you. Wow..super amazing, Love trying new recipes. Now getting Sour Cream in the country I leave in is not easy, any ideas for a substitute? This looks delicious, mac and cheese is one of my favourite comfort foods. I Like your thinking with the jalepeno, I always add a good splash of tobasSco with mine. Great recipe, thanks for sharing! This looks amazing. Definitely going to have to try this myself. 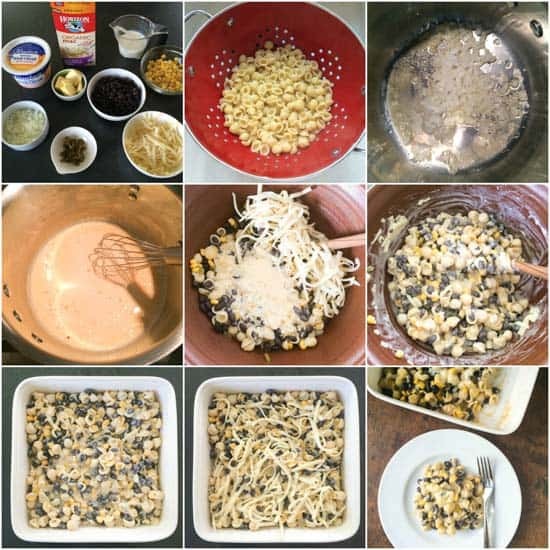 I so love adding corn to my mac and cheese and a dash of nutmeg which adds oodles of flavor. This looks like a nice twist to a classic recipe. I can see a lot of potential to get creative with this dish. 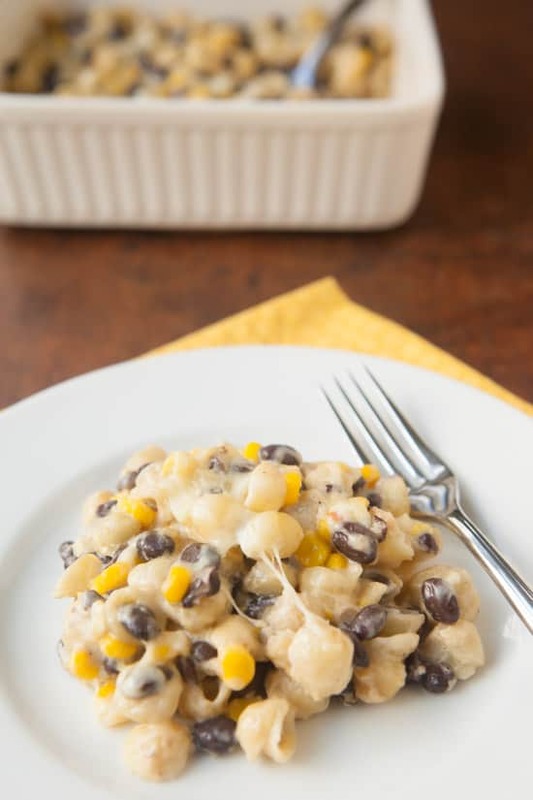 I thought the black beans and corn were a great addition. Thank you for sharing! This reminds me of sothiemng I've made a few times that I love. It's a store-bought pizza crust, with sauce spread over it (BBQ, marinara or whatever you prefer) and leftover homemade mac n cheese crumbled on top. A little extra shredded cheese and some time in the oven and you have awesome mac n pizza.